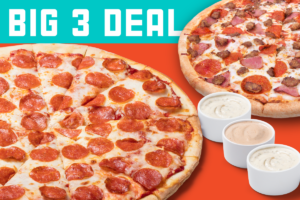 3 Topping Patron XL Pizza, 3 Topping Large Pizza plus 3 Fresh Dips. Limited Time Offer. Online Only. 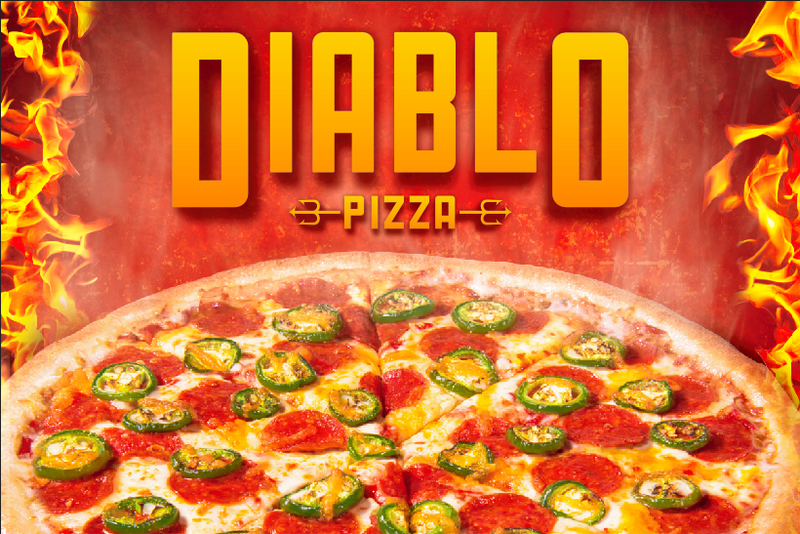 CAN YOU STAND THE HEAT Smoking Hot Pizza that starts with the Diablo Marinara Sauce made from Fire Roasted Jalapeños, then topped with Mozzarella cheese, layered with Pepperoni, Fresh Cut Jalapeños and sprinkled with a handful of Cheddar cheese as a finishing touch. Catch the heat for only $7.99 for the large or step up to 18-inch XL size for only $12.99. 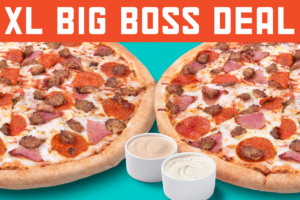 Two 18-inch Patron XL Pizzas with up to 3-Toppings plus 2 Fresh Dips.. Limited Time Offer. Online Only. 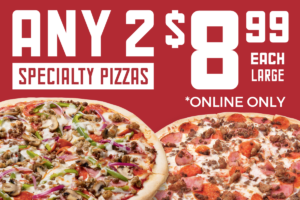 ANY 2 SPECIALTIES $8.99 Any 2 Large Specialty Pizzas for $8.99 each. Online Only. Limited Time Offer.